On today’s episode I’m talking to an extremely passionate CPA, Lisa Anderson, a partner at Morse & Company. In addition to being a CPA in tax, she is also Accredited in Business Valuation (ABV) and Certified in Financial Forensics (CFF) through the AICPA. Lisa originally became an accountant because she didn’t think she wanted to interact with people. However, through the many steps of her career, she has discovered that she does like being around other people – and she discovered that being an accountant isn’t just a technical job, it’s a relationship-building job. Lisa is passionate about specialized tax education, particularly as it relates to divorce. She gives presentations to attorneys, other accountants and non-accountants, although she faces a major challenge in marketing divorce law education to the average person – the person who may one day really need that information to make a good decision. There’s obviously a monetary piece to this, but just listening to Lisa it’s obvious that the main driver is how much she wants to help people. Lisa brings a welcomed dose of empathy to the accounting field, and I appreciate her for that. Empathy is huge for CPAs, and those that choose to employ it build much better relationships with their clients. I greatly appreciate Lisa for taking the time out of her day to sit down and talk with me. She is a delight, and she brings a lot of valuable information and relationship-building skills to the fields of accounting and divorce law. If you’re going through the process of a divorce and you need a little information, Lisa is the person to talk to. An investment in her may save you a lot of money in the long run. Peter: Hey everybody Peter Margaritis here and I’m at the University of Tulsa in the Performing Arts Center. They had a program today I’m very honored and lucky to have Lisa Anderson as my guest, and Lisa – you know what, I’m gonna let Lisa tell you all about herself. So Lisa, first and foremost thank you greatly. I appreciate you taking time to be interviewed. Lisa: Thank you I am very honored to be interviewed. So, about myself. Peter: Yes tell us about you are. Lisa: Who am I? I am Lisa Anderson and I’m a CPA. I am first and foremost, though, a wife and a mom. I have two kids, an almost 18-year-old daughter and almost 15-year-old son. Peter: And just on a side notes she’s told me so many stories while I’ve been here. They’re absolutely amazing kids. Peter: That’s the best story possible. How did you get here? Lisa: How did I get here? I didn’t go far to get here, I’ll tell you that. I was born raised in Tulsa, went to high school in Tulsa, briefly left Tulsa for a few weeks to attend college outside of Tulsa, came back, got an associate’s degree, ended up at the University of Tulsa then undergrad in accounting, came back right after that, worked on my masters in tax, which of course, ask any of my friends, they thought I was absolutely crazy because why would anybody want to do tax let alone and have a master’s degree in tax, and for whatever reason I knew that’s what I wanted to do. Lisa: And I went to work at Ernst & Young for 5 years, primarily because that was one of the firms that would let me go directly into tax without ever having to do audit, which I to this day thankfully have never had to do an audit and don’t plan to ever do that. And so started my career in tax until I had my daughter, decided I really didn’t want to continue with those long, late hours, went to work for a client as a tax manager just in corporate tax. Few months into it decided that was not the life for me, it was very boring and there just wasn’t enough that was enough going on. So I decided to jump back into the world of public accounting and talked to a CPA that was working for a local firm and found it very interesting. She was talking about the fact that they not only did tax work, they didn’t do any audit work, they did tax, they did some bookkeeping work, but they also did some fraud and some litigation work which greatly intrigued me. I found out more about the company, about the firm interviewed with him, got a job with them, started out doing tax and one of the partners kinda took me under his wing and started teaching me business valuation. I liked it, decided I needed to know a lot more than what he could teach me, so I started working on getting my designation in business valuation. I also decided that would be very smart because we were doing quite a bit of litigation work, and then very, very quickly that without some kind of certification or without the mature older gentleman silver hair, I had no credibility in court. [laughs] Unfortunately that’s the truth. Lisa: And so I decided the older man silver hair was not gonna work for me so I got my certification to gain credibility so that I can testify in court. I did valuation work. And working in business valuations also led to quite a bit of divorce work, because a lot of the times people that need business valuations are the people that are getting a divorce. Peter: Okay, how do you value a chick? Lisa: You know we were just we were splitting assets, we weren’t really putting values on it. We were splitting assets. I was mediating. Lisa: I also was involved in some much higher profile cases and divorce cases that lasted into three, four years through multiple attorneys, and also got a taste of what I needed a certification in. Financial forensics was because there were quite a few hidden assets and a lot of trail chasing – chasing the cash flow between multiple businesses, between multiple people – and decided I needed a little bit better background in that to be able to do that part of the job better. Peter: What’s the name of the firm you’re working with? Lisa: Currently I am a partner at Morse and Co., PLLC, and we’re a three partner firm in Tulsa. Background of the firm: there’s two tax partners and an audit partner and I specialize, in addition to all types of income tax, also the litigation, business valuation and specifically divorce issues. Peter: Okay so we’re going to rewind here for a moment because clearly my audience is going, she’s an extremely bright individual with all of that behind her and she’s industry, and you know when I first realized she was an extremely bright individual was as she was telling you her background, she started when she went to high school in Tulsa, so that to me told me she must have bypassed elementary school and middle school and went right into high school. So when I heard heard that I went, genius. Lisa: That’s it. I skipped all of that, straight into high school. Okay, from day one: kindergarten, elementary, middle school then high school. Everything’s in Tulsa. Lisa: and looking at, you know, what you need to do beforehand, maybe so you can be better prepared for any kind of financial crisis, whether it be divorce or death or disability in the family, anything that’s going to impact the financial situation. A lot of the things upfront that you can plan for are going to be the same in any of those situations, so it’s getting that knowledge out. It’s educating people so they aren’t caught blindsided. Now that being said, there are some issues very specific to divorce that if you don’t understand may come back to bite you at the end of the day. When you’re doing the divorce settlement, when you’re splitting assets, when you’re looking at those asset valuations. Something as simple as who’s entitled to claim the kids on the tax return, it may seem intuitive but it’s not. There’s very specific rules. Unfortunately some of the attorneys, many of the attorneys, don’t really realize that, and just because something’s written in a divorce agreement that doesn’t always trump. Unfortunately the IRS wins many times and you have to follow their rules, and it’s unfortunate that a lot of attorneys either don’t know some of this information or don’t know to seek out the expertise. I can tell you I’ve had people who kind of refrain from reaching out to get that assistance, just because of the costs involved. I can tell you, at the end of the day, whatever it’s going to cost to hire me to look at this upfront, to look over a divorce agreement, to sit down and consult with splitting up of the assets, is going to be a lot less expensive, possibly, than what you’re going to end up spending in taxes at the end of the day because you didn’t realize what the tax consequences were going to be. I’ve more than once seen somebody that thought because they got a certain asset, they’re going to be able to cash out that asset and have X amount of money, not realizing there are taxes to be paid on that transaction and they end up with a whole lot less than they thought they would, and of course they’re screaming, that’s not fair, my attorney said, well sorry your attorney didn’t look and didn’t do you justice by looking into what the details were going to be and how that was going to end. Peter: You said that the overall cost by hiring usual, for the most part, will be less than if they didn’t hire you and the their tax bill at the end of the day. So I look at, because I’m trying to change the word cost, an investment in your time could save them money in the long run? Lisa: Absolutely. Just a real quick story: I had a new client come to me. She had asked their joint CPA for some advice. She wasn’t quite sure that he had given her the right advice on a tax situation. They had finalized the divorce, so she got my name from somebody else, came to me, and she had some stock options that she was going to sell as a result of the divorce. That was the part of the divorce agreement, whatever that net from selling, whatever the net cash received, half of it was to go to the husband, which was fine except nobody took into consideration that after she sold that there would be a tax consequence to that. She ended up owning an additional $22,000 in tax as a result of that transaction that she wouldn’t have had the divorce agreement been written a little bit different, if things had been split a little bit different, and so now she’s having to go back to court and incur additional attorneys fees to try to get the money back from the ex-husband to offset that cost of additional $22,000 in tax. Peter: And two, that money is already spent. Lisa: It is. You know, it came out of her pocket and it would have been – maybe not real simple, but if we could address that upfront and pointed that out things could have been handled and structured possibly a lot different. Peter: Okay so anybody who’s listening who’s thinking about or in the middle of divorce, especially if you’re from the Tulsa area, you better look up Lisa. Outside of that you can still find Lisa, I’ll have her information on the website, how to contact her, but it’s making sure that your attorney and your CPA, or your specialized CPA, are communicating in a manner that the divorce decree is awarded in a way to help both of you put yourself in a better tax position than without having that advice. Lisa: Exactly. There are many times I will be hired as a joint consultant so that I am advising both parties in a divorce so they both get the same information so they’re both better educated and understand what the outcome is going to be if they divide assets a certain way. Understanding what the true value of an asset is. Like I said, even something as simple as how are we going to file our tax return this year. You know, what filing status do we use, who gets to claim the exemptions for the kids, who get certain tax credits. By moving some exemptions from one parent to the other sometimes there’s some tax credits that get lost, and even though you may be using the CPA, if that CPA is not familiar with some of the very specific aspects related to divorce they’re going to miss that and it may end up costing you additional tax. Peter: And keep going back to who’s getting the chickens. Lisa: [laughs] Yes there is that. Peter: Let’s take a different course, because in your introduction you said you got into accounting because you didn’t like dealing with people and you want to sit behind your desk and look at the computer. Peter: And then in your background you say you deal with people a lot and you’re doing presentations. Peter: And we’re having this conversation, we’re actually look at each other in the eye versus our shoes, because you know the introverted accountant from the extrovert accountant? The introvert account, when they’re talking to you, looks at their shoes. The extrovert one looks at your shoes. So we’re actually making eye contact and stuff. So how did you change that philosophy? How did you change that way of working, realizing that you’re in the relationship building business. Very technical, but it involves building relationships. Lisa: It was not by choice, no. Lisa: I jumped into it when I started doing the business valuation work working with attorneys, which had led to the divorce work, which led to working with spouses that were going through a divorce, and it’s amazing how much, especially with sometimes working with women, you become more than just their CPA, you become very involved and I have been to court just to hold their hand. Not for any other reason but I think it’s that interaction – having to interact with people, having to understand people, having to communicate – and in testifying in court, having to take the knowledge I have and break it down for the judge to understand, for a jury to understand, for the parties involved to understand, one, to alleviate some of the arguing. And as far as the presentations, was I terrified to do it? Yes. Am I still? Yes. 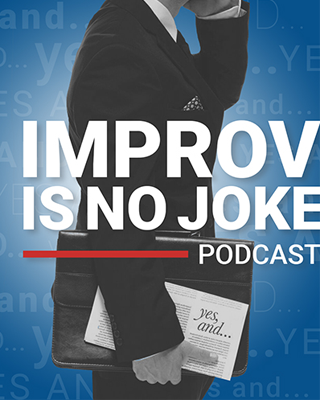 Peter: Yes, And. Yes, And. Lisa: Yes, and. Yes, there is no but. I am so sorry. Lisa: Yes I’m still terrified and I know I have it, I have knowledge and I have a skill set that I want to share with people. If I’m not presenting it, it’s not getting out there. So it’s worth having that fear initially. Once I get going I’m fine, but it’s worth having that initial terror – more than fear – of getting in front of people, but I know at the end of the day they walk away better with more knowledge. They were way better educated. I’ve given them something, I’ve given them tools. Lisa: No it never was that bad. Peter: But you’re telling yourself, and I understand that you’re telling yourself all the things that could go wrong vs possibly could go right and and and stuff. Peter: So was it practice over time? Did you take any courses, public speaking courses or anything like that, to help in your presentation skills? Your public speaking? Lisa: No, the only public speaking course I took was my freshman year in college, and I think it made a B because I didn’t want to present, I just wanted to write. Peter: So they gave you before not presenting, wow I could have an a-plus-plus. Lisa: I did present, I probably just did a really, really bad job at it. Peter: So you’re much more of a writer than a presenter back then. Peter: But you’ve had to adapt to different situations. Well I look at it so as your role increased, as your experience increased, it became less technical knowledge but taking that technical knowledge and translating it into a language somebody else could understand, It sounds like you just forced yourself to do it. Lisa: I did. And it started some also going back to school. I love to learn, I love going to school. If I could get paid to go to school I would. Unfortunately I can’t, so I took it a little bit different Avenue and I taught a few undergrad, a few graduate level online classes. The online classes were okay because there wasn’t that interaction, but it was also not having that interaction with people that made it very, very difficult to teach. Lisa: Some learned very quickly, it’s much better having that one-on-one interaction, being able to demonstrate something. I took some of what I learned there, took it to the next level in developing presentations, and I think by having a PowerPoint presentation and being able to break everything down and knowing that it’s something I really truly know very well, it’s a very strong knowledge base of mind that I’m explaining. It comes very easy to explain that. Lisa: So I don’t have that fear, it’s just the fear being in front of people, but I know what I’m saying I know very well. Peter: So you’re extremely knowledgeable. You’re not so much afraid of the way out type of question because you’ve already pretty much addressed that in some way, shape or form. So you could go in, really, without a PowerPoint presentation, and say okay, what questions do you have, and more or less be able to do that type of presentation because of that thorough knowledge. Lisa: Unless I totally panicked and forgot everything I know, yes. Peter: [laughs] Unless you blacked out because I don’t have the powerpoint. Peter: The other question I had is you said that your husband’s in sales. Peter: So he’s got the gift of gab in sales. Peter: Did he try to help you with this or did he just say okay just have at it now? Lisa: No, because I don’t think he really understands what drives me to do it. He knows how much of an introvert I was, as I truly am. We started dating in high school so he saw the shy, introverted, nerdy person that I was, and I do revert back to that occasionally, but he’s also seen what that has developed into. Peter: Yeah, I do use my filter much better these days than I did way back in the day, but I’ve learned a lot through that and learned to accept failure and learn from it just in order to get better bit. Lisa: But – no, no buts – and I’m still learning. Lisa: It’s taking that knowledge and the fact that I can give that to people. I love giving people the skills to be able to make decisions. I never want to direct people to make a certain decision, but I want to give them the tools and the knowledge. I want to educate people. I want them to be able to make good decisions. If I can do that through presentations, I would love to. One-on-one consulting with clients, knowing that I am helping them make better decisions, is really what I’m working toward. Peter: So I hear a passion. Peter – unnecessary tax, when it could be structured in a way that would protect them at a lower investment. You would be a lower cost than tax in the long run. Lisa: That’s a good summary. Peter: In my mind, that’s the ideal partner in any type of firm. We’re not in a transaction business, we’re in a relationship-building business. We should always keep that content, that knowledge, close to our chest. The more that you can share that information, whether it be through public speaking, whether it be through articles, whether it be through newsletters or whatever, and not charge for it, that’s an attraction because that helps increase your level of authority. And when you get to that level of authority people start gravitating, but it takes a lot of time, a lot of energy, in order to start gaining traction with that. Lisa: It does. I would love to say I am, that this is just out there and everybody knows who I am and when they have a divorce problem or an IRS problem they come to me. We’re not there yet, but it is gaining traction. I am getting more and more referrals from other clients who have had a divorce situation that now know somebody that are referring clients to me. I’m also getting more and more of a client base with people that are struggling with IRS problems: IRS notices for delinquent taxes; IRS notices for taxes they didn’t know they owed, due to an ex-spouse sometimes; IRS issues due the fact they didn’t file tax returns for a number of years. So that is another smaller niche area that I do quite a bit of work in, which is also stemming somewhat from the divorce arena because, unfortunately, in a divorce situation there’s financial issues, one of the spouses maybe isn’t quite forthcoming on everything and then there ends up being taxes that weren’t paid, things that weren’t reported, and now you’ve got this ex-spouse that is liable for this outstanding tax bill. And then there are ways to handle that, there are ways to relieve that liability, sometimes, for that spouse, but in doing that, because I guess I kind of have a little bit of a reputation for cleaning up IRS tax messes, I also deal with non divorce-related tax issues. But to me that’s helping still helping people. It’s helping people with a problem overcome the problem, acknowledging there’s a problem and figure out how to tackle the problem. We don’t always make it go away entirely, but we find a solution. Peter: Finding a solution. That’s that’s the key. I like how you worded it earlier, to the fact that I’m trying to educate and help them, because you don’t direct but you want to give them enough tools, enough knowledge, so when they’re in this situation they can make better decisions, or at least know, I don’t remember Lisa talking about this, let’s pick up the phone and give her a call and use you as some type of counsel. I also wrote down in my notes that when you were going to the courthouse with a client just to be there to hold their hand or whatever. I went that’s a huge amount of empathy that you are helping with your client, and empathy is something that maybe our profession doesn’t do enough of. Empathizing with the person in the other shoes. I don’t know – some people I talk to it’s not part of their vocabulary, and I think those who do and it’s part of the vocabulary in building this type of relationship build stronger relationships with their clients than others who do not, because empathy is huge. Lisa: I do. I try. You do sometimes have to find that fine line between being there twenty-four/seven but also being available when they need it, and that partially, probably, comes from the very first divorce I worked in. We’re sitting in the attorney’s conference room, husband and wife. We’re sitting there, they’ve been married for a number of years, and the awful things that were coming out of that husband’s mouth about the wife. I thought, how in the world were they ever married, how in the world could he ever say he loved her, and I thought I can’t do this job. I cannot cannot listen to this. I cannot be a part of this. And at that moment I can either walk away and not do any of this or I can be there to help people through this. So maybe that is part of the empathy, knowing what they’re going through, that they’ve got a lot of other struggles other than just the financial struggle. Peter: Yeah. Yes, there are a lot of other struggles, as anybody who’s in the audience who has been through a divorce knows. There’s a lot of emotion that’s going on. A lot of raw emotion that’s going on, and the ability to separate negotiations from these types of conversations, to really get the emotion out and just work with the facts tends to go a longer way, but still having that empathy for that person, knowing that they’re coming to you, but there’s a lot behind them that you might not be seeing, and that even just holding their hand or giving him a hug goes a long way. Lisa: It does, and I think it’s part of that – seeing a litigated divorce, and a very nasty litigated divorce – that’s also let me to become very involved with a group in Tulsa, Oklahoma. There’s a collaborative divorce group. It is a group of attorneys, financial professionals and mental health professionals, and in a nutshell it is non-litigated divorce. You agree from the very beginning that this is not going to go to trial, is not going to be litigated. If someone should through the process decide to litigate it, any parties that you’ve been using can no longer be involved in the divorce process. It’s just a much nicer way of handling the divorce. It’s easier on the parties, easier on the children. Everybody’s a lot more forthcoming and things tend to work easier. Peter: And this is what again? Lisa: It’s called collaborative divorce. Peter: Never heard about that one but that’s interesting. It does sound like a kinder, gentler type of a divorce vs the litigation, the nastiness, and and when I think of litigation, the nastiness that surrounds a divorce, I go immediately to Wedding Crashers, the opening scene where they just call each other these terrible names but once they were able to take the emotion out of it and just stick to kind of the facts, things worked out. Lisa: Right, and not not to get off subject but in a collaborative divorce, you know, everybody that is involved, all the professionals, have been trained. They have been through hours of training on this process. Everybody’s on the same page. Everybody’s working together. Peter: Hopefully that’s the wave of the future. Lisa: We’re trying to make it that way. I’d love if everybody could do this. Of course it doesn’t work for everybody. Some people are just going to want to fight and be nasty and not be forthcoming and that’s just going to happen, but for those that it could work for it’s a much better way, and because you also have a financial person involved you know there’s somebody there working with both parties as a neutral on some of the financial issues. Peter: Wow. I don’t know about you guys but I’ve now been schooled in the areas of tax, divorce, and you know it’s a very niche market but it is a very – I said marriage is a leading cause of divorce, and if you’re thinking about going with her divorce or in the process of one, just know that you might need a little bit more information. I will have all the information, if you’re in Tulsa or if you’re not in Tulsa, on how to contact Lisa and her firm to maybe help you along. An investment in her may save you a lot of money in the long run. Lisa, once again thank you so very much. I’ve enjoyed this conversation much more so than I thought when we first started, because, one, the fascination of your background, and, two, how you’re out there and really, truly have this passion for trying to help people, which is a great thing. So once again, thank you for being here. I greatly appreciate it. Lisa: And thank you. I greatly appreciate the opportunity and I love sharing what I’m passionate about. Peter: Cool. Well Lisa, before we wrap up this podcast I like to let my audience get to know the person just a little bit better, so I’ve come up with ten quick kind of rapid-fire questions I’d like you to answer. Are you up for this? Peter: Okay, she says that with not a lot of confidence. Lisa: No, no confidence at all. Peter: [laughs] By the way, just for full transparency, I forgot to ask these questions when I was at Tulsa and we were doing this face-to-face so now we’re doing it over FaceTime, and when I asked Lisa what she was doing today she said she was at work answering IRS notices, and she said that she can find a fun way to answer IRS notices, which absolutely made me laugh. So just a little transparency with what’s going on in her life today, and she’s smiling and she’s answering IRS notices. Lisa: I guess you have to find the entertainment value, otherwise it would just be a very mundane, boring day. 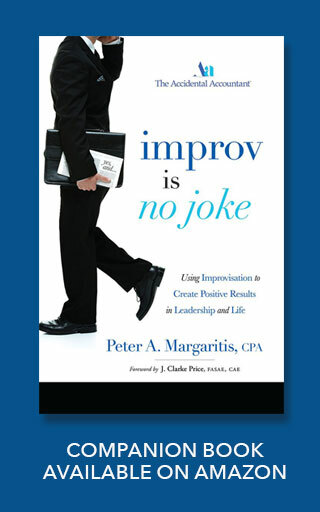 Peter: I think you should write a column, an article or a book – maybe that’s the title of a book that you can get out: How To Make IRS Notices Entertaining. Lisa: Entertaining, yes. I wouldn’t say fun. Entertaining, yes. Peter: Okay, first question: chicken-fried steak or chicken-fried chicken? Peter: Okay, I’m afraid to ask this but what’s the difference between chicken-fried steak and chicken-fried chicken? Lisa: Chicken-fried steak the meat is steak, it’s beef. Chicken-fried chicken is chicken. Lisa: They’re just cooked the same way. Peter: The reason why I asked this question is because on my trip to Tulsa I got introduced to chicken-fried steak at a restaurant that claims that they’re the best in Tulsa, and quite frankly it was very very good, but both of them require gravy, right? Peter: Can’t have it without gravy. Peter: Then it’s just nothing. Lisa: No you wouldn’t eat it without gravy. Peter: You wouldn’t eat it without gravy. Then if you eat it without gravy you can use it to keep your table from wobbling. Lisa: That’s hard and there’s lots of them but American Graffiti and Top Gun. Peter: American Graffiti. Wow, okay. I get Top Gun, but it is not too many people, women especially, who say, I really never like Top Gun and all, especially the volleyball scene, I really didn’t like that. Peter: Yeah my wife keeps that on a loop. Who’s your favorite actor or actress? Peter: Richard Gere. An Officer and a Gentleman. Lisa: Yeah but he was too young. Peter: What’s one of his more recent ones that you’ve seen? Lisa: I absolutely can’t remember at the moment. Peter: [laughs] She drew a blank. Peter: Next question: Coke or Pepsi? Peter: Cheers or Family Ties? Peter: I knew that one. [laughs] Oh here’s a good one for you. The golden driller or the golden arches? Lisa: The golden driller of course. Peter: Of course. Golden driller is a big statue in Tulsa of a golden driller. Lisa: Yes and his name is Derek. He’s Derek the Driller. Peter: Like Thomas the Train, but Derek the Driller. Lisa: [laughs] I don’t know that I could have a favorite boy band. Peter: [laughs] Okay, Madonna or Eminem? Peter: And the last question, outside of being on this podcast, what is one item on your bucket list that you wish you could check off sooner than later? Lisa: A trip to Alaska. Peter: A trip to Alaska. That would be fun. Peter: See, it wasn’t that painful at all was it. Lisa: No, it was much better than I anticipated. Peter: And we got a great laugh out of it, so once again thank you for taking time and we will get this put into the podcast so everybody can also get a good laugh from it. Thank you very much Lisa.